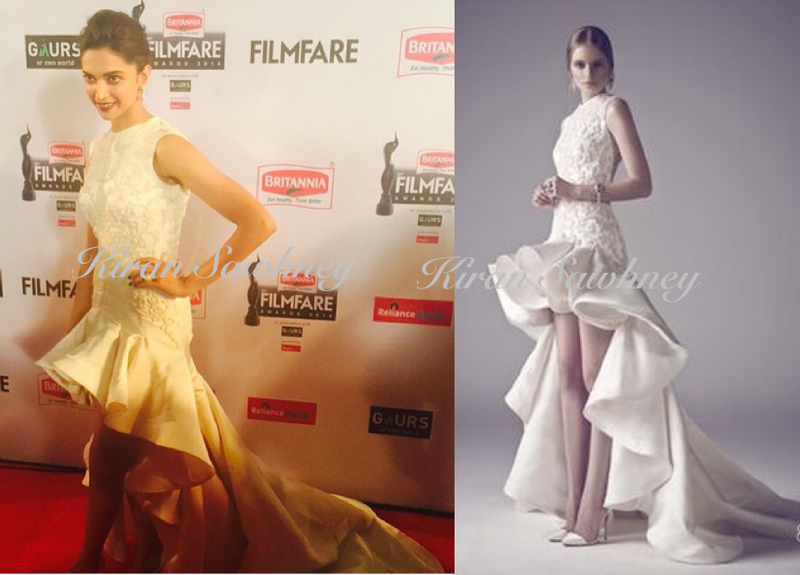 Deepika wore a Ashi studio dress. 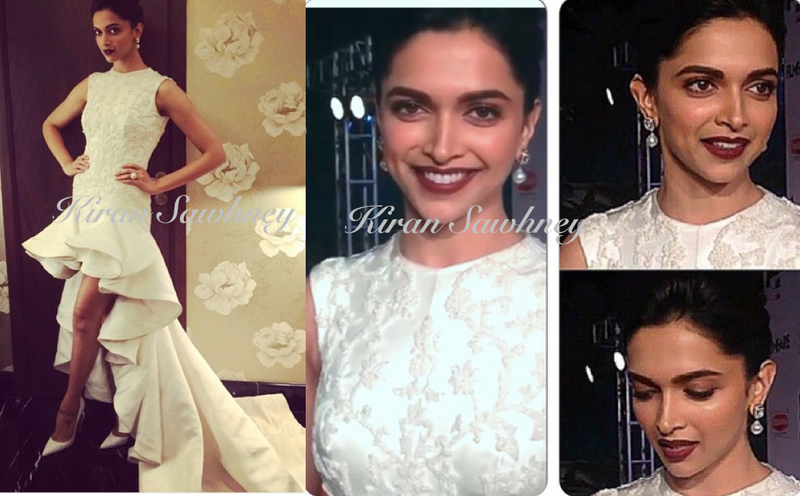 She teamed it with jewelry from Anmol jewelers and Louboutin shoes. Sonam has walked the ramp for Ashi Studio in a high low dress too. Which of the two do you prefer?